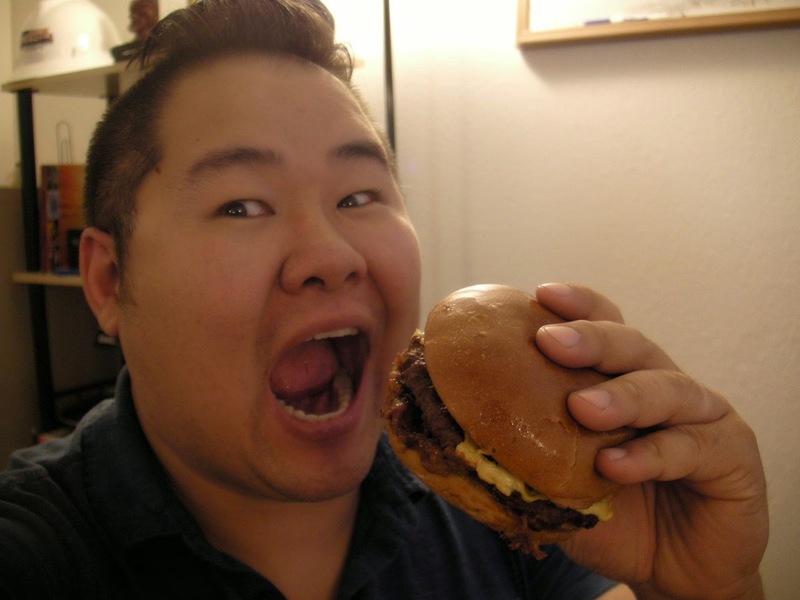 Mark Lim - I have never ever been this fat in my entire life but I figure if I'm going down, I'm going to stare Death right in the face, dual wielding burgers in each hand with mayonnaise and Sriracha exploding from my chest. Today I had the Carl's Jr. 1/3 lb Texas BBQ Thickburger which is totally out of character for me because I would normally order the 1/2 lb but I could already picture my wife yelling at me because she would check The Cloud and see pictures of the burger and get mad at how I promised to eat healthy but then I could say I chose the lesser of two evils and got the 1/3 lb instead of the 1/2 lb and she'd still be mad. The burger itself is quite good. I was surprised because I normally don't like Carl's Jr. but I'm really into the whole sweet and savory deal. 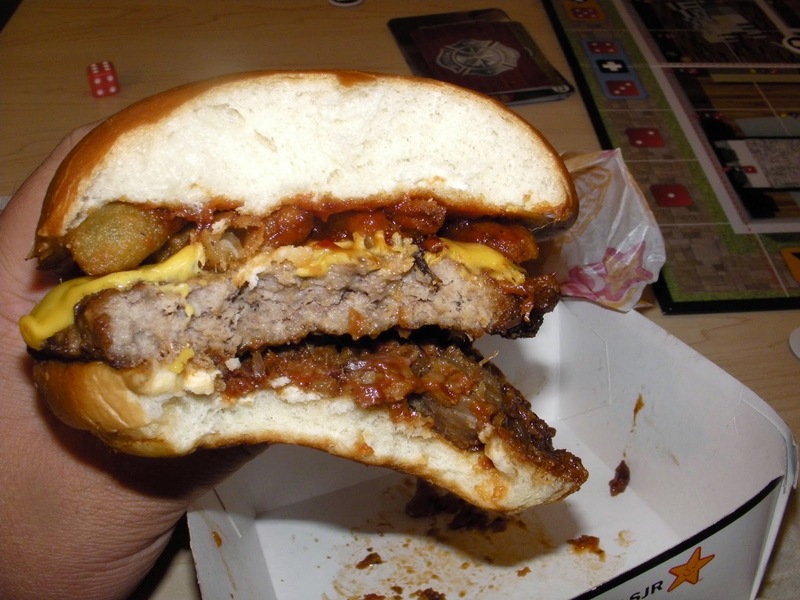 The real star of the burger though is the jalapeno fried onions. They really give a good crunchy texture to the burger. 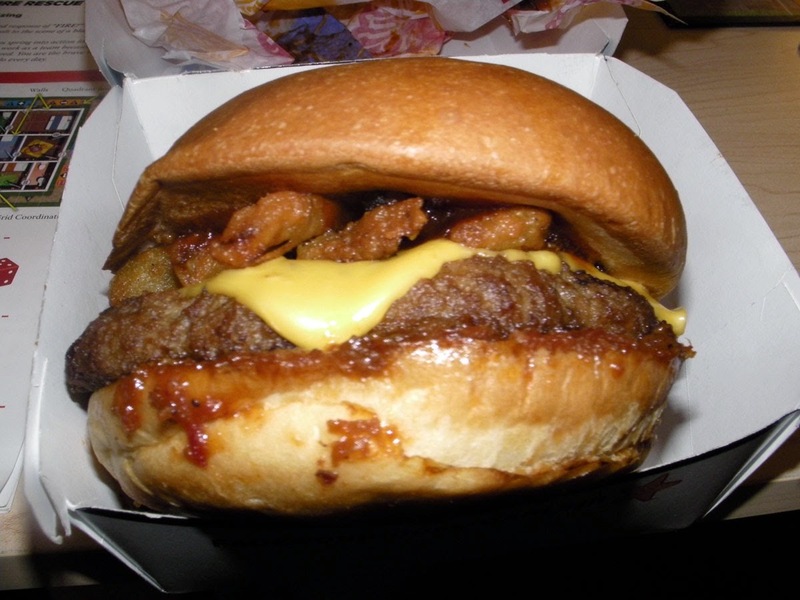 Thicke Burger. Get it? Whatever. It didn't take long to photoshop. The description of the burger says it's a "brisket" which I'm not sure what that means but it's probably to help the illusion that this burger is somehow a fancy steakhouse burger. Usually any burger I get from Carl's Jr. that has anything crunchy is mush by the time I get it back home but these suckers were deep fried with a batter so thick, no BBQ sauce in the world could penetrate it which worked out in its favor. The Mesquite BBQ sauce itself was kind of weird because it had all sorts of jibs in it. It was like eating white person salsa. I got really excited and thought it was chili at first but was pretty happy with the taste of it. The bun is supposed to be some new thing for Carl's. Fresh Baked Buns! I wasn't really impressed with it and I actually would have preferred the Pretzel bun at Wendy's which is sooooo goooood. 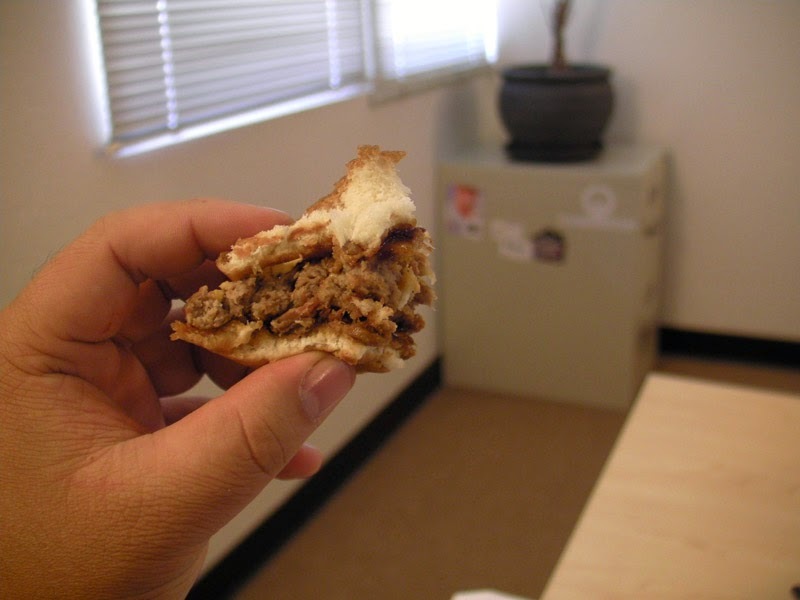 My final though: The Carl's Jr. Texas BBQ Thickburger is pretty good. 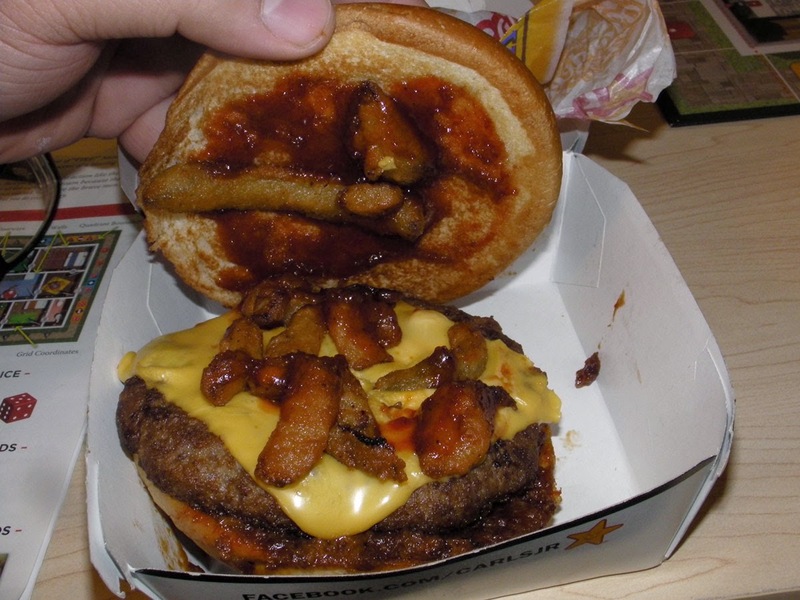 I was quite happy with the distribution of jalapeno fried onions and mushy bbq sauce. I got a little of it every bite. The sweet and savory flavors are really good and the meat itself tasted pretty clean. Overall I think I like this burger and give it a rating of 7 out of 10. Carl's Jr's nutrition web page is busted so I can't put in the nutrition information for you guys. All I can say is that while the 1/3 lb burger will surely shorten your lifespan, the 1/2 lb will get you there 33% quicker. Hey guys, I'm actually going to reply to your comments now so feel free to make fun of me or start a flame war.